When you were growing up, did you like school? As you got older and began to pursue a postsecondary education, did you look forward to your classes? For many people, the answer to both of these questions is “no.” There is just something about classroom-based education that disengages the mind. As a result of this disengagement, many people willingly admit to disliking learning. This is unfortunate since learning is absolutely necessary to professional success. Think about your current work situation and the training that is offered to you. Whether you attend training sessions or lead them, you are no doubt keenly aware of whether they are interesting or boring. More than likely, if your company has a classroom-style training model, employees are less than engaged with it. 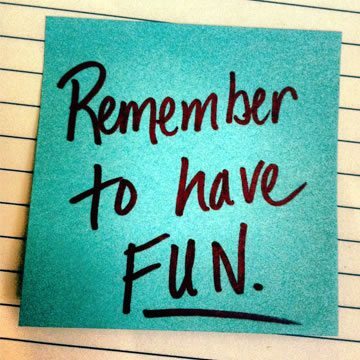 In the workplace, fun has been underrated. Perhaps employers hold the faulty belief that enjoyment distracts employees from their tasks. Sure, some types of amusement are distracting, such as surfing Instagram or Tweeting on company time. However, enjoyment is a key to information retention. Some types of learning, such as social learning, are considered by most people to be enjoyable. The good news is, over 70 percent of what we learn is absorbed socially, through life experiences. The other 30 percent of learning is formally structured and happens “on purpose.” In the workplace, some employee training happens socially, but a good portion takes place through a formal training program. Employee training programs that are engaging can be vehicles to a strengthened workforce and company success. On the other hand, training programs that are reminiscent of the days of being stuck in a classroom for hours on end often hold companies back from reaching their goals. Organizational leaders are intelligent, and they know when a company’s culture stinks. They know when employee training is unappealing. (A quick look at their employees’ glazed-over eyes gives the secret away). They know when corporate training needs an overhaul. Knowing that a problem exists isn’t the issue, but knowing how to fix the problem is. This is where a lot of employers get tripped up. If only they knew how efficient learning management systems (LMSs), or eLearning systems, are at spicing up training models and company culture. Games – The word “games” is essentially synonymous with “fun.” There’s no quicker way to engage your employees than by integrating games into their training process via an LMS. According to eLearning Industry, “Games are often more effective for learning than traditional training approaches.” eLearning systems prove that gaming isn’t an adolescent pastime, but a valuable experience that fosters learning in the workplace. Social learning tools – Remember the statistic that suggested that over 70 percent of all learning takes place socially? An LMS facilitates this with social learning tools like web conferencing, realtime chat, calendaring, and Shoutbox. Also, an eLearning system makes it possible for employees to use social media in a controlled setting for professional purposes. This adds an undeniably enjoyable element to employee training. Videos – The article Top eLearning Trends in 2015 states, “Smartphone users are avid video watchers…67% of smartphone users watch video and 14% use video at least once a day. Not only is the use of video rising in day-to-day activities, more instructors/trainers are using it in their online learning. Video is a fun approach to teaching and has a higher chance of engaging users.” Most LMSs come equipped with mobile learning capabilities. This means the high percentage of smartphone users mentioned above are enabled to enjoy watching training-related videos from any location when they use an eLearning system. Companies that want to make training more interesting and revamp corporate culture should consider implementing a social learning management system like TOPYX. This award-winning LMS has all the features needed to fully engage employees, causing them to retain vital information and have a great time in the process. Thomas Edison said, “I never did a day’s work in my life. It was all fun.” Companies that make fun a priority, grow. It’s as simple as that. An LMS ensures enjoyable corporate training and business success.